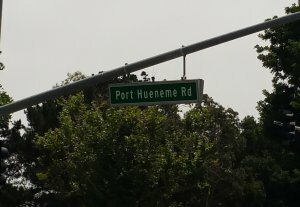 We Buy Houses In Port Hueneme! Have you thought to yourself, “Who will buy my Port Hueneme house” or “how do I sell my house quickly for cash in Port Hueneme?” If so, you’ve come to the right place because we buy houses in Port Hueneme. We are a local company that is located right here in Ventura County and we buy houses in Port Hueneme. Dream Home Property Solutions, LLC has an A+ rating with the Better Business Bureau and we will buy your house as-is. We buy houses in any condition so that you never have to do any upgrades or make any repairs. You can also take or leave as much stuff in the house as you want to, and we’ll handle the rest. When you sell your house directly to us, you will never have to pay any realtor fees or commissions. Depending on market conditions at the time, it can take weeks or months to sell a house. Even when you think you have a buyer lined up, they can still back out at the last minute or lose their financing if they make any large purchases that they weren’t supposed to. If you want to sell your house without using a realtor or worrying about finding a buyer, you’ve found the right answer. To begin, you can submit your information in one of 3 ways. You can use the form at the top of this page, send us an email to Info@DreamHomePS.com, or for fastest service, you can give us a call at 805-250-8335. We will then spend a little bit of time finding out about your unique situation and the condition of your home. Once we have the required information, we will set up an appointment to view the house. You can either meet us at the house, or if it is vacant, we can view the property ourselves. Whatever is most convenient to you. We will then determine what type of repairs/upgrades are needed, if any, and use that to help formulate our offer to you. Within 24-48 hours of viewing the house, we will submit our cash offer to you. In fact, we usually like to submit more than one offer so that you can choose the one that is best for you and your situation. Our offers are completely no-obligation, so you can feel free to accept or reject them as you see fit. Once you do accept our offer, we can close in as little as 10 days, or on your timeline. If time is not an issue for you, we have no problem closing weeks or months down the line. It’s really that simple. There are many situations where our house buying services can benefit Ventura County residents. Some examples include facing foreclosure, costly repairs that you cannot afford, behind on your mortgage payments, inherited a house that you do not want, and many other reasons. We understand what a burden having an unwanted house can be. Besides the money it takes, it can also add a lot of unneeded stress to your life. We believe that Dream Home Property Solutions, LLC is the premier “we buy houses” company serving Port Hueneme homeowners. In fact, we do more than just buy houses. If you have any questions about buying or selling a house, we are here to help. Or, if you just have questions about real estate in general, give us a call. Our goal is to help Ventura county residents with any and all of their real estate needs. The get the process started, or if you just want more information about our simple house buying process, contact us today. As mentioned earlier, you can contact us by phone at 805-250-8335, send us an email to Info@DreamHomePS.com, or fill out the form on our website. We will buy your house directly from you and pay you cash. We can close in as little as 10 days and will buy your house as-is. Since you will not have to pay any realtor commissions, we will help you keep more money in your pocket. If you need to sell your house fast in Port Huemene, give us a call today!